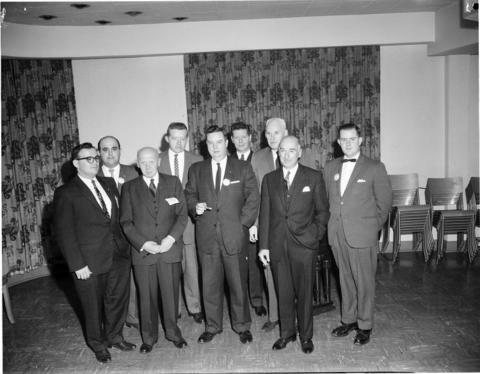 This picture shows past presidents of the Guelph Junior Chamber of Commerce on the 25th anniversary of the club. Front: R. Alviano, Dr. R. Buckner, D. Stephenson, W. A. Smith, D. Bell. Back: N. Alviano, P. Duffy, J. Adams, G. Anderson.